amedonosova added a comment to M149: Increasing Recruitment Via krita.org. While working on plans for QA and looking into the contributor’s manual I arrived at an idea which relates to this effort, maybe from a bit different angle. amedonosova committed R37:9237a707931e: Update link to git repository in README.md (authored by amedonosova). amedonosova updated the task description for T10772: Load/save dialogs - default directories and filenames. amedonosova created T10772: Load/save dialogs - default directories and filenames. amedonosova committed R37:6f3ea24f84e2: Fix page orientation switch in new image dialog (authored by amedonosova). amedonosova closed D20300: Fix page orientation switch in new image dialog. amedonosova requested review of D20300: Fix page orientation switch in new image dialog. amedonosova created T10758: Store locations for save/export/render animation in KRA files. amedonosova committed R37:27678b4ca0c4: Remember last used dirs for shortcut import/export (authored by amedonosova). amedonosova closed D19964: Remember last used dirs for shortcut import/export. amedonosova requested review of D19964: Remember last used dirs for shortcut import/export. amedonosova committed R37:8161893484cc: Better pointer handling in KisMirrorManager and KisMirrorAxis (authored by amedonosova). amedonosova closed D19776: Better pointer handling in KisMirrorManager and KisMirrorAxis. amedonosova updated the diff for D19776: Better pointer handling in KisMirrorManager and KisMirrorAxis. amedonosova added a comment to D19776: Better pointer handling in KisMirrorManager and KisMirrorAxis. The patch looks fine, please push it! amedonosova requested review of D19776: Better pointer handling in KisMirrorManager and KisMirrorAxis. amedonosova added a comment to T10434: Brush Texture docker proposal. Instead of a separate docker, I propose to add the brush texture controls to the existing Patterns docker (and maybe also to Patterns popup in the toolbar). amedonosova committed R37:f16b1f8b61ad: Fix decoration handling in KisMirrorManager (authored by amedonosova). amedonosova committed R37:7b4550bd4600: Fix creating vector shapes with pattern fill (authored by amedonosova). woltherav awarded R37:ce50e5ceeb4a: Check for view and document before setting mirror tool config a Love token. amedonosova committed R37:ce50e5ceeb4a: Check for view and document before setting mirror tool config (authored by amedonosova). amedonosova committed R37:d12bbbe11744: Use plain color source instead of gradient in KisPresetLivePreviewView (authored by amedonosova). 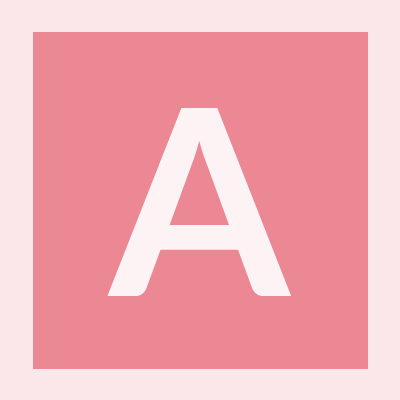 amedonosova closed D19297: Use plain color source instead of gradient in KisPresetLivePreviewView. amedonosova requested review of D19297: Use plain color source instead of gradient in KisPresetLivePreviewView. amedonosova committed R37:54d3dc15daa1: Saving Mirror Tool state to KRA (authored by amedonosova). amedonosova closed D18254: Saving Mirror Tool state to KRA. amedonosova updated the test plan for D18254: Saving Mirror Tool state to KRA. amedonosova retitled D18254: Saving Mirror Tool state to KRA from [WIP] Saving Mirror Tool state to KRA to Saving Mirror Tool state to KRA. amedonosova updated the diff for D18254: Saving Mirror Tool state to KRA. amedonosova added a comment to D18254: Saving Mirror Tool state to KRA. There is one issue left to be solved: the highlight on the paintop box buttons. When the first document is open, the buttons are checked, but not highlighted. After switching around documents it starts working. amedonosova updated the summary of D18254: Saving Mirror Tool state to KRA. amedonosova closed T10029: Arrange docker tweaks as Resolved. amedonosova added a comment to D18323: Add all arrange docker actions to the shape selection tool context menu..
amedonosova requested review of D18254: Saving Mirror Tool state to KRA. amedonosova added a comment to T10029: Arrange docker tweaks. The redesign is done and merged in master. amedonosova committed R37:52afd0cbfc8e: Advanced Color Selector: option to hide color selector (authored by amedonosova). amedonosova closed D17893: Advanced Color Selector: option to hide color selector. amedonosova added a comment to D17893: Advanced Color Selector: option to hide color selector. amedonosova requested review of D17893: Advanced Color Selector: option to hide color selector. amedonosova committed R37:3e3f0d0a265d: BUG:402342 Fix opening templates from command line (--template) (authored by amedonosova). amedonosova committed R37:b1c8ba60f0a2: Palette Docker: bug 402072; color selection in the combobox (authored by amedonosova). amedonosova closed D17728: Palette Docker: bug 402072; color selection in the combobox. amedonosova requested review of D17728: Palette Docker: bug 402072; color selection in the combobox. amedonosova committed R37:325cbf6c62d3: Partial fix for bug 401656 (authored by amedonosova). amedonosova closed D17665: Partial fix for bug 401656.
amedonosova requested review of D17665: Partial fix for bug 401656.
amedonosova committed R37:1ce2574b2125: Layer Docker: fixes menu icon size (authored by amedonosova). amedonosova committed R37:aaa0c170023a: Arrange Docker: spacing fixes (authored by amedonosova). amedonosova committed R37:c099ae3e614d: Layer Styles UI: fix for angle selection, small UI tweaks (authored by amedonosova). 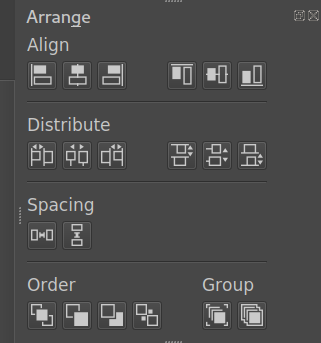 amedonosova closed D17134: Layer Styles UI: fix for angle selection, small UI tweaks. amedonosova added a comment to D17134: Layer Styles UI: fix for angle selection, small UI tweaks. I briefly looked into KDE's Breeze theme, it seems to do something to the QDial while painting the widget (it's not necessarily wrong, but it yields different results to the fusion theme under some circumstances). To work around that, I changed the min/max value of the dial and, subsequently, the conversion between the values of the dial and the spinbox. I tested with both Breeze and Fusion Qt themes, under Gnome, and it seems to work fine now. amedonosova updated the diff for D17134: Layer Styles UI: fix for angle selection, small UI tweaks. amedonosova committed R37:8b8cfb911b5b: ArtColorSel: fixes gamut mask preview (authored by amedonosova). I fixed a bug that caused the dial to skip the quadrant (90°,180°). That could have caused the moves to other side of the widget. amedonosova requested review of D17134: Layer Styles UI: fix for angle selection, small UI tweaks. amedonosova committed R37:cdc608d37ade: Arrange docker: UI polish (authored by amedonosova). amedonosova closed D16902: Arrange docker: UI polish. 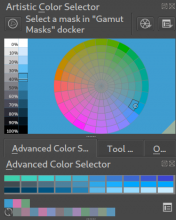 amedonosova added a comment to D16902: Arrange docker: UI polish. That looks fine. The only thing I wonder about is whether there isn't a way to bunch all the buttons up at the top of the docker when making it tall -- now there's some spacing appearing between the rows if you stretch the docker. But that's not new. amedonosova requested review of D16902: Arrange docker: UI polish. amedonosova updated the task description for T10029: Arrange docker tweaks. amedonosova added 1 task(s) for M142: Arrange docker changes: T10029: Arrange docker tweaks. amedonosova added 1 mock(s) for T10029: Arrange docker tweaks: M142: Arrange docker changes. amedonosova created M142: Arrange docker changes. amedonosova created T10029: Arrange docker tweaks. amedonosova committed R37:f702304f3cb0: Condense UI of the Specific color selector (authored by amedonosova). amedonosova closed D16724: Condense UI of the Specific color selector. amedonosova updated the diff for D16724: Condense UI of the Specific color selector. amedonosova updated subscribers of D16724: Condense UI of the Specific color selector. amedonosova added a comment to D16724: Condense UI of the Specific color selector. amedonosova requested review of D16724: Condense UI of the Specific color selector. amedonosova added a comment to M139: Gamut Masking: storing masks in .kra files. I'm trying something different, to address non-trivial UX issues that arose from having masks both in document and on disk. amedonosova committed R37:4ec3dadd0c62: ArtColorSel: caching, fixes for crashes (authored by amedonosova). amedonosova closed D16288: ArtColorSel: caching, fixes for crashes. amedonosova updated the task description for T9652: Gamut masking: saving mask in the .kra file. amedonosova committed R37:01ba8b7f88cd: GamutMasks: fixes for in-document masks (authored by amedonosova). amedonosova updated the summary of D16288: ArtColorSel: caching, fixes for crashes. amedonosova committed R37:80ad27b77579: GamutMasks: store/load in-document masks (authored by amedonosova). amedonosova committed R37:a4693a886072: refactor KoGamutMask to work with kra load/save (authored by amedonosova). amedonosova updated the diff for D16288: ArtColorSel: caching, fixes for crashes. Revert "ArtColorSel: pass KisCanvas2 through to KisColor"
amedonosova added a comment to D16288: ArtColorSel: caching, fixes for crashes. The initial idea of implementing KisDisplayColorConverter was to avoid other classes depending on big fat KisCanvas class. Why exactly this dependency was needed? amedonosova retitled D16288: ArtColorSel: caching, fixes for crashes from Summary:ArtColorSel: cache the parts, so it's not redrawn every time to ArtColorSel: cache the parts, so it's not redrawn every time. amedonosova requested review of D16288: ArtColorSel: caching, fixes for crashes. amedonosova committed R37:6f8565167c24: saving/loading gamut mask to KRA (authored by amedonosova). @scottpetrovic Thanks for your feedback. I will go with the most automatic way with the smallest amount of buttons and other controls I will find, starting with solution 2. I will proceed to writing code, so we can evaluate it in action. I would personally prefer solution 2, with storing enabled by default. I will explain why I added those controls, maybe we can come up with better workflow which would not need them. Solution 1 does not have those problems, but it is rather manual and therefore error-prone. amedonosova updated the description for M139: Gamut Masking: storing masks in .kra files. amedonosova added 1 mock(s) for T9652: Gamut masking: saving mask in the .kra file: M139: Gamut Masking: storing masks in .kra files.